Trojan batteries as standard. Considered to be the best batteries of this kind. Fitted with "Trojan" Batteries. Lithium available. The Powerhouse Duo+2 Hospitality Buggy, you will have everything required to effortlessly carry two/four adults around your chosen area. At your disposal, is a very capable machine. The transmission powers the rear wheels, virtually silently through a none maintenance Differential gearbox. This is in turn powered by an impressive 2.2kw motor and 6 x 8v, 162ah Ultra deep cycle "Trojan" battery set. Speed and overall control is governed by a 48V Curtis management system. In short, the Duo+2 buggy will travel at 15mph maximum speed for a distance, in the region of 25 miles, with two or four people aboard. The rack and pinion steering is light and precise, and braking is uncomplicated. using a combined pedal with anti roll brake. Baattery upgrade to Lithium is available. See tab for battery warranty. At Powerhouse Golf, we offer a full after care and repair service. We hold stock of every part for all of our buggies and offer an unrivalled in-store repair service. We also stock and sell spare parts online should you be confident in changing any buggy parts yourself. 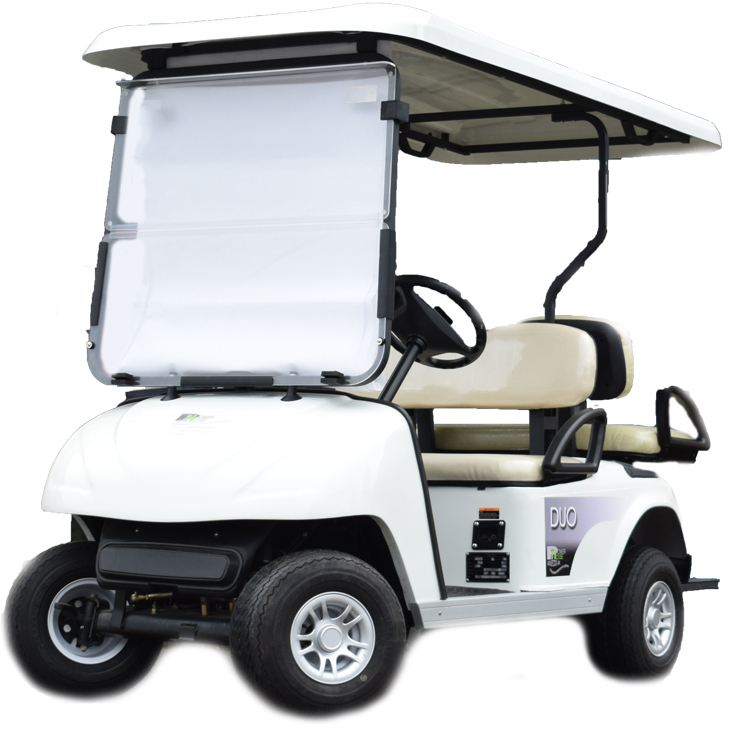 At Powerhouse Golf we offer a wide variety of accessories suitable for the Duo Golf Buggy.